Auto Glass : Atencio Glass Canon City Colorado : auto glass, windows, mirrors and more! We service all of Fremont County and surrounding areas with the best quality in Auto Glass Replacement, and Repair. We use only the best quality glass and sealants available to the industry. Same day appointments are generally available if you call before 12pm. A cracked or broken windshield is a major inconvenience. Our job is to minimize the inconvenience and to save you time and money while providing outstanding service and high quality auto glass. Your satisfaction is our number one goal. Our headlight restoration service will renew old or worn out headlights, remove yellowing, haze cloudiness, light scratches and micro pitting, increase optical clarity, night-vision and safety and improve your vehicle’s appearance. Our diverse customer base includes Personal vehicles, Car Dealerships, Auto-Body Repair Shops, Fleet Industries, Farm and Ranch, Excavators and Insurance Companies. 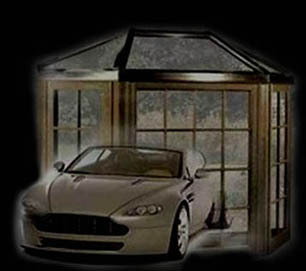 We also accept Wright Express, ARI, and Insurance Claims from most Insurance Companies. Let us handle all of the paperwork (and headaches) for you!